“Prayer Pilgrimage for Freedom,” Histories of the National Mall, accessed April 23, 2019, http://mallhistory.org/items/show/270. 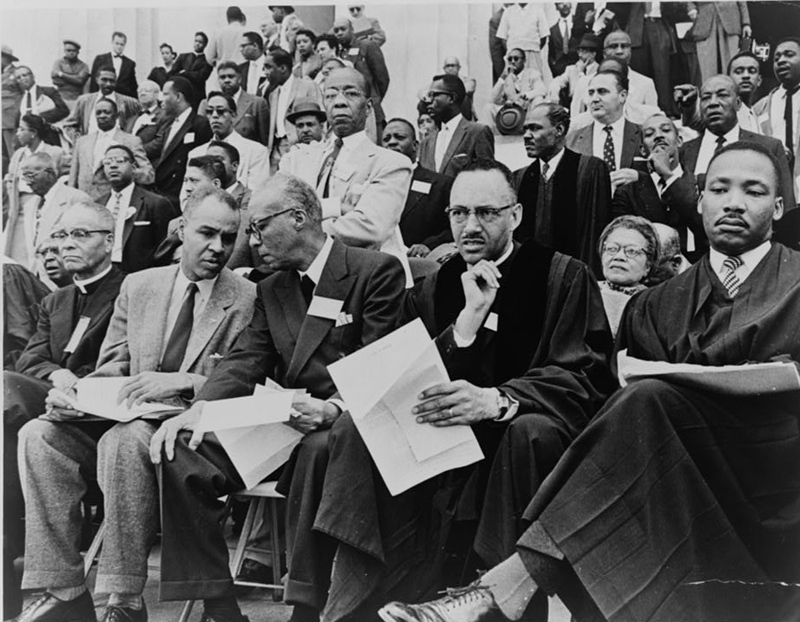 Held in the spring of 1957, the Prayer Pilgrimage for Freedom was organized by the newly formed Southern Leaders Conference (later known as the Southern Christian Leadership Coalition or SCLC). 25,000 demonstrators attended the event at the Lincoln Memorial, urging the Eisenhower administration to push for compliance with Brown v. Board of Education's school integration. Martin Luther King Jr. gave the keynote speech at this event, which reinforced his role as a new key leader in the civil rights movement.